Convicted of bigamy and theft. 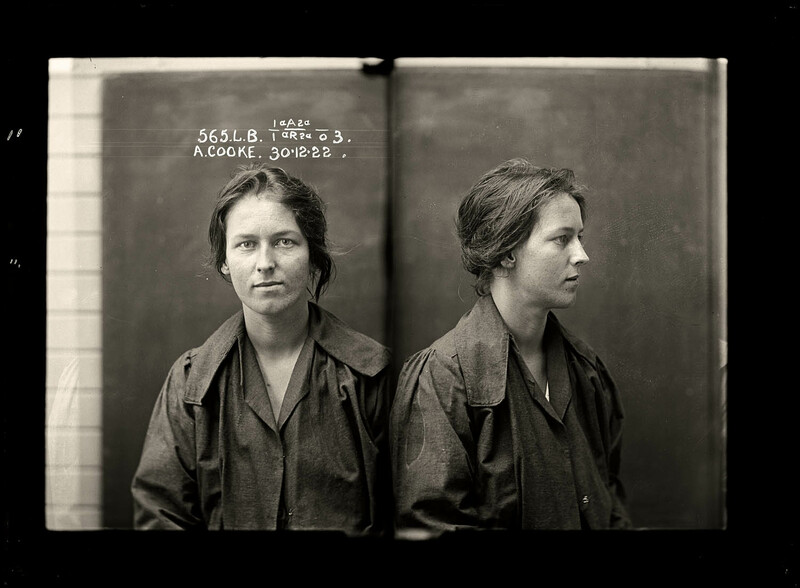 By the age of 24 Alice Cooke had amassed an impressive number of aliases and at least two husbands. Described by police as 'rather good looking', Cooke was a habitual thief and a convicted bigamist. Aged 24. Part of an archive of forensic photography created by the NSW Police between 1912 and 1964.